This is one recipe which needs very little preparation and requires absolutely no oil – a perfect recipe for the health conscious. You can serve the chicken as it is with a dash of lemon juice for dinner or shred the chicken to make pizza toppings, sandwiches, etc. Take curd, red chilli powder, cumin powder, garam masala powder, chaat masala, chicken 65 masala and salt in a bowl and mix to form a smooth paste. Add the chicken pieces and mix well. Allow this to marinate for 3 to 4 hours. Preheat oven at 200 degrees Celsius with upper and lower rods On for 10 minutes. Line a baking tray with aluminium foil and place the chicken pieces over it. 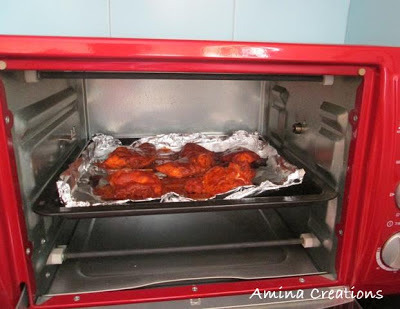 Place the baking tray in the central rack of the oven and at bake at 250 degree Celsius for 12 to 15 minutes. Carefully take out the tray, turn the pieces to the other side and place it back in the oven to bake for another 10 minutes. 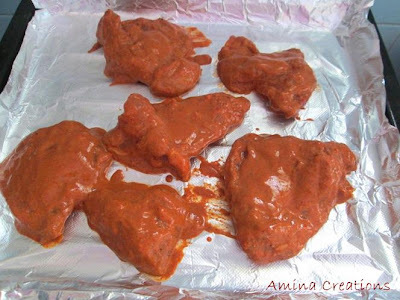 Take the tray out and check if the chicken and masalas are well cooked. Wish to bite few pieces now, so tempting chicken. 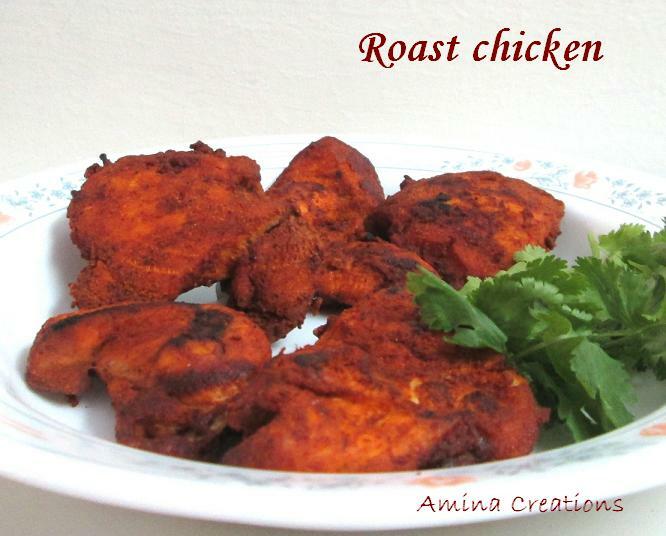 MOuthwatering, succulent baked chicken roast. Looks so tempting and delicious.. 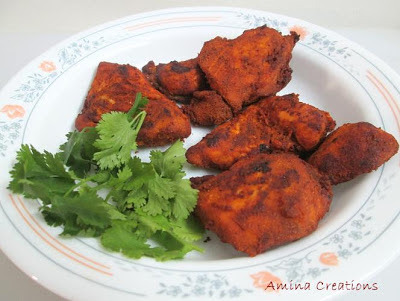 I too made chicken similarly yesterday..
What a colour..looks o delicious and yummy ! I wonder whether hickey 65 masala is available here. 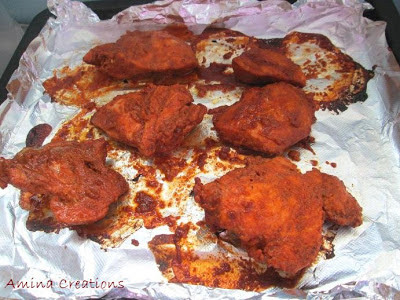 Absolutely healthy chicken with no oil and less fat. Inviting color and yummy. Roasted chicken are inviting me, looks good. Hi dear, thnx a lot for dis super recipe but also i have two queries as i am amateur in cooking are these chicken with bone and does it remain juicy after cooking?